Your Finance Formulas: Doctor Doctor, Why Are You So Expensive? Doctor Doctor, Why Are You So Expensive? Most people dread the day that they get injured seriously enough to go to the hospital. Of course, pain is a big driving factor in this, as no one wants to experience it at any level. It’s instinctual to avoid this sort of sensation. But, along with this, people also dread going to see the doctor because of the price. 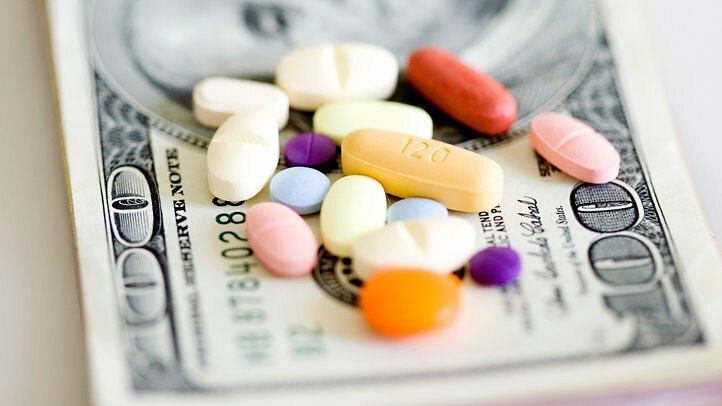 The average American spent around $10,000 (US) on health care, in 2012 alone, and this number has risen greatly since. But, why exactly are medical treatments so costly? Before a medical treatment is able to be used on humans in normal conditions, it has to be developed and tested extensively to make sure that it performs the right role. There are many stages to this process, some of which can cost millions alone. This leads to a heavy cost in developing any type of medicine, and this price is usually passed on to hospitals. Without proper funding, these medical organisations have to then pass the costs down to their patients. Of course, the financial side of medicine wouldn’t be an issue if profit wasn’t a factor in it all. But, unfortunately, most new medicines and treatments are developed and made by private companies, with funding from the government. This makes medicine into a product, instead of a public service, forcing people to pay for it. For example, the biggest pharma company in the world, Bayer, made over €4,110 million in 2015, mostly from selling their treatments to people who can’t live without them. Like most troubling financial areas, there is a lot of work you can do to make sure you’re not subject to excessive fees when you need medical help. A lot of people will already be protected in one shape or form. But, it helps to make sure that you have the right level of protection for you, as well as some provisions for the future. One of the best tools you have to help you in the case of steep hospital bills is insurance. Recognising that people can’t afford to pay for their health, loads of companies have popped up over the years offering to cover the costs for you. In return, you will give them a monthly premium, contributing to the pool of cash they have for people that need it. Using a comparison site, you can find loads of great deals on this sort of cover. But, you might already be covered as a benefit from your employer. Finally, a lot of people don’t have any sort of plan in place to help them in the case that they get injured by someone else. If this happens to you, for whatever reason, it isn’t fair that you should have to cover huge medical costs. Instead, the person responsible should have to pay for this, making sure that you get back on your feet as fast as you can. A company like Gruber Law can help you with this, giving you support in court and helping you to seek compensation. Along with this, though, you could also consider getting some legal insurance to handle this for you. Hopefully, this post will inspire you to start preparing yourself for the harsh reality of medical bills and hospital payments. Not a lot of people can afford this sort of cost in their life. So, it makes sense to work hard against it. You have the time to protect yourself, and there’s no need to wait for a better time.